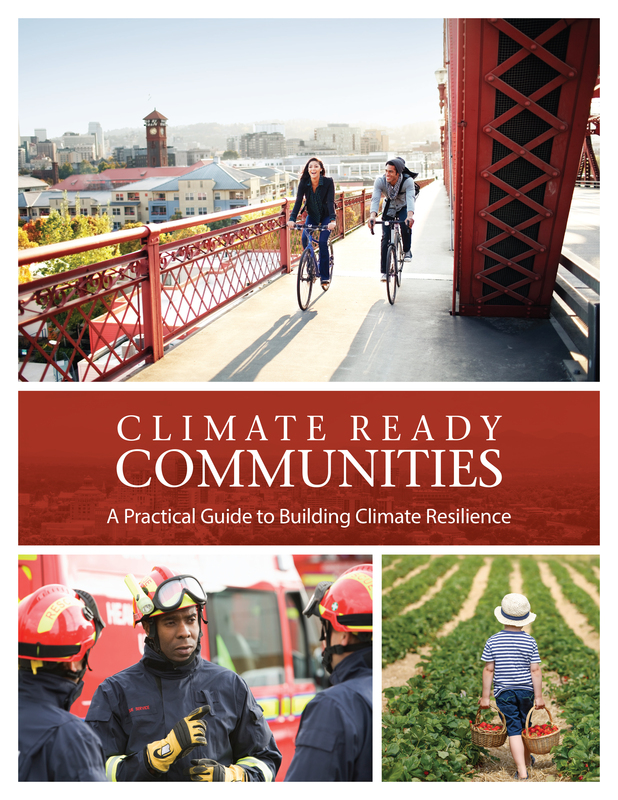 California leads the nation in both requiring climate change adaptation action by local communities as well as supporting local leaders so they can be effective in taking that action. Our team headed to Sacramento for the three day conference hoping to not only share our Climate Ready Communities program, but also to hear what new innovations are being developed in California that could be used elsewhere. The fires and mudslides in California are confirming what we have known for several years in the adaptation field – people who are already struggling due to low-income, systemic racism, disability, and language barriers are hit the hardest by climate disruption and have a harder time recovering. This fact is putting a fine point on the need to integrate these under-resourced communities into the adaptation planning process so that their needs can be fully met through community action. We were also reminded that these communities, while struggling, are also incredibly resilient and have something to bring to the solutions table. Adaptation frameworks and processes and the people who run them need to avoid the sense that these people need to be saved. They have been saving themselves for a very long time. What they need from adaptation processes is an acknowledgement that more resources will need to be invested in their concerns in order to have an equitable outcome across a community. Then they need to be equal partners at the table. Several discussions focused on how to identify triggers that indicate that a new course of action needs to be taken on an issue. As adaptation takes on larger questions of major infrastructure and other high-priced solutions, the question of when to change course is rising to the forefront. 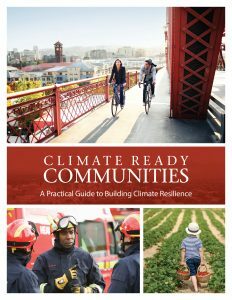 Several organizations are working on guidance to help communities determine how best to spend their limited resources given the often overwhelming challenges presented by climate change. 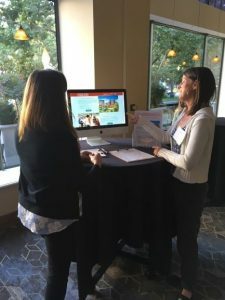 The State of California will soon release a new website with information and resources to assist local governments in preparing for climate change. The website www.resilientca.org is currently in beta form, but will soon be up and running to help local leaders fulfill their climate change mandates. James Gore, a Supervisor from Sonoma County, summed it up best when he ended his plenary talks with “It’s go time!” Yes Mr. Gore, it is indeed “go time.” We are grateful that we had the opportunity to learn how California communities are grappling with building climate resilience and will soon begin incorporating the takeaways from California’s experiences in the next revision of our Practical Guide to Building Climate Resilience.